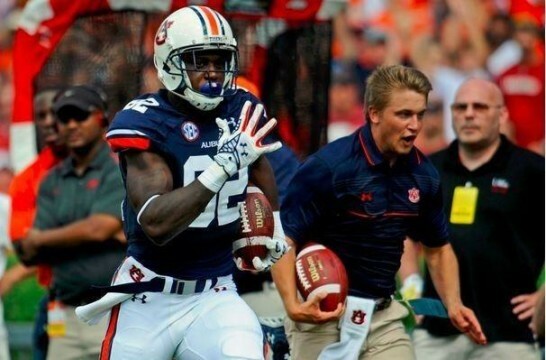 Gus Malzahn’s hurry-up, no-huddle offense has turned Auburn into Ball Boy U.
Jake Longenecker hopes his high school football coach was watching “SportsCenter” yesterday. The Potomac, Maryland native wound up playing quarterback and outside linebacker for the Churchill High School Bulldogs. “I wasn’t exactly known for being fast or anything,” Longenecker says. Now that’s pretty much all he’s known for. Within minutes, he was a Twitter MVP. Longenecker says he only realized his hash mark heroics had their own hashtag during the game’s 4th quarter lightning delay. Then Deadspin did something. Then USA Today. Then ESPN tweeted out a video… and then SportsCenter. Not just the website–the broadcast. Longenecker’s taking it all in stride, as it were. “I never thought me running 45 yards would garner this much attention,” he says. 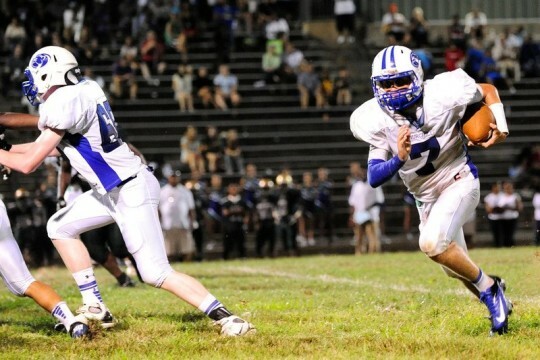 From Churchill Slow to Auburn Fast: Longenecker in high school. Longenecker isn’t the first Auburn student equipment manager to steal the spotlight with speed during an Auburn touchdown. Last year in Knoxville, ESPN color analyst Brian Griese marveled at the speed of Andrew Jarrett, who outran Tennessee’s coverage unit during a Corey Grant punt return. And as for the Kick Six, well, there went Jarrett. Sure, Longenecker says turning on the jets every chance he, Jarrett, and fellow managers Blair Kenimer and Robert Langhout get is partly for fun. But at the same time, he says Auburn has become Ball Boy U. out of necessity. Photo: Shanna Lockwood / USA Today. 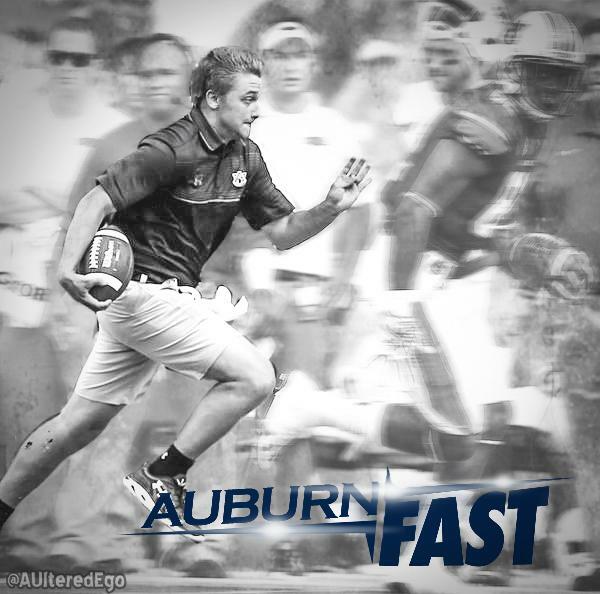 Longenecker says Auburn ball boys are actually instructed to be, well, Auburn Fast. If they’re not, Auburn’s not fast—or at least maybe not as fast as it could be. The ball boys aren’t the only non-player personnel that have had to up their gameday game since Gus Malzahn’s arrival. The hurry-up no-huddle offense has also forced to the Auburn University Marching Band to adjust their cheers. But cranking the tempo on the fight song is one thing. Keeping pace with a wide receiver is something else. So is Longenecker as fast as Melvin Ray? Is he faster? But he still enjoys the idea of his old coach second-guessing himself. UPDATE: Jake Longenecker tries to buy Auburn Ball Boy T-shirts without being recognized, fails. UPDATE: ‘Looks like he’s gotten a little faster’: Jake Longenecker’s former high school coach proud of Auburn ball boy’s newfound fame. Related: Best Damn Ball Boy in America: Auburn junior Andrew Jarrett had a front-row seat—and played an important role—in Tigers’ amazing 2013 season.